Lagartijeando spent a large part of 2010 traveling around Latin America – collecting sounds and inspirations along the way – most notably from Bolivia where Lagartijeando discovered a profound respect and fascination for the music and culture of the country. “It was like entering a portal to another dimension,” he explains. A mix of original songs, edits and ancients sounds, this mixtape explores the point at which indigenous influences, sounds from the earth, village sounds and modern ones of the conquistadores and their cities co-exist. A good example of this are the songs that use the traditional Mestizo instrument, the Charango (small guitar traditionally made with the shell of an armadillo) used by many indigenous communities, that engage in a musical dialogue with other unique instruments like the zampoña, tarkeada, sikus (flutes) and the bombos (drum). 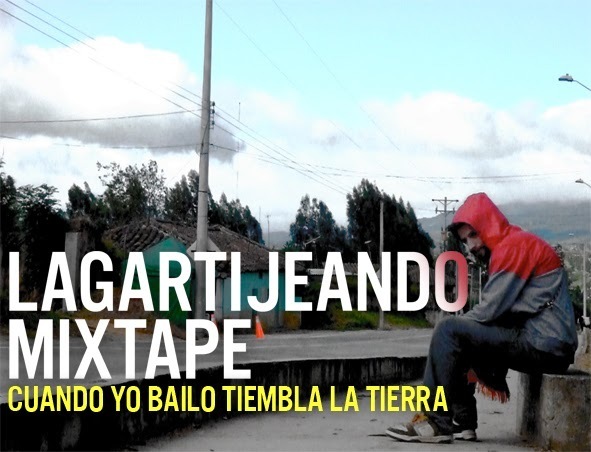 Amongst the many gems of Lagartijeando´s mixtape are the Charangueadas and Calampeadas (from the Potosi and Cochabamba regions), where they play the Walaicha (an instrument similar to the Charanga with metal strings) played with strange rhythms and tunings. Melodies born out of the Ayllus (a pre-conquest indigenous style of organization that shared similarities to communism) that come alive with their mixture of mestizo genres and indigenous ethnicities like the Saya, Caporales, Morenada and Tinkus (a mestizo style taken from a tinku ritual in which men fought to the death in order to spill blood for Mother Earth). There is also modern Bolivian music, a mixture of rap in Spanish and Aymara with Andean hip-hop beats. And also two new songs, that will without a doubt appear in Lagartijeando´s next album. I’m gonna post it on http://www.flore-music.com !! no hay mas nada que buscar… latinoamerica! hermoso! Excellent mix and excellent music blog discovery – Great work!